Plastic doesn't go away. Of all the plastic ever manufactured – an estimated 8.3 billion metric tons – most of it still exists as waste in some form. Roughly half of all plastic becomes trash in less than a year. On its own, it typically takes hundreds of years or more to degrade. That's a big problem. More than 8 million tons of plastic are dumped into our oceans every year, polluting the water, killing ocean life, and eventually ending up in on our table in the form of shellfish and even salt. The World Economic Forum estimates that the total weight of microplastics in the oceans will top that of fish by 2050. Plastic waste on land is often incinerated, releasing toxic gases like dioxins, furans, mercury, and polychlorinated biphenyls into the atmosphere. The plastics that don't end up in the ocean or air continue to leach toxic chemicals into the environment, polluting our water and food systems. Clearly, we need to kick our plastic habit; but we're still producing nearly 300 million tons of plastic every year, half of which is for single use. And with the methods of disposable just as toxic as the plastic itself, many environmentalists have been at a loss for what to do. Fortunately, nature finds a way. Researchers in Pakistan have discovered a type of fungus that eats at least one type of plastic. The researchers were studying soil samples from a landfill in Islamabad when they discovered Aspergillus tubingensis, which breaks down polyester polyurethane, a plastic used to make synthetic leather, adhesives, car parts, and many other products. “The fungus secretes enzymes that degrade the plastics, and in return, the fungus gets food from it by dissolving the plastics,” Sehroon Khan, a postdoctoral researcher at the World Agroforestry Center and lead author of a paper about the process, told Fast Company. The process the fungus enacts isn't perfect, but it could be used to deal with plastics in landfills. 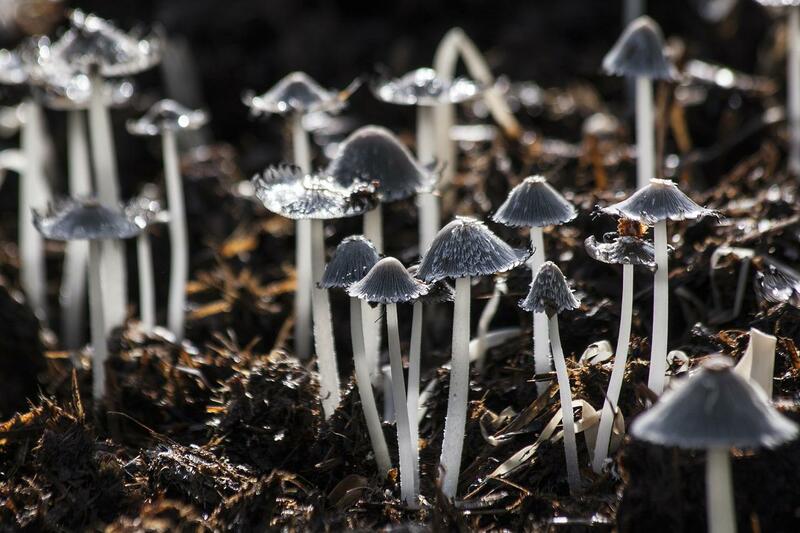 The fungi's enzymes break down chemical bonds in the plastic, then uses its network of tiny root-like filaments called mycelia, to further break the materials down. In a matter of weeks, a piece of plastic can be broken down. In the process, however, the fungi does release some greenhouse gas emissions, though the researchers haven’t measured exactly how much yet. The researchers are currently seeking funding to create a large-scale plastic degradation system with the fungi. Fast Company reports that other trash-abating organisms have been discovered. Wax worms, which evolved to eat wax in beehives, can eat polyethylene trash like plastic bags, and the enzymes the worms use to do so could potentially be engineered and scaled up to clean up waste. Japanese researchers also discovered a bacteria that can digest plastic bottles, which could also be used to process waste, though that process many not be any better for the environment than just recycling the bottles in the first place. Still, it's good to know that nature is lending a helping hand, and that we may yet find ways to get rid of those pesky plastics.